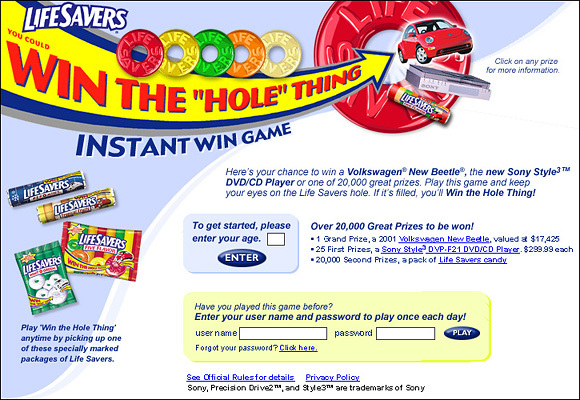 Promotion involves finding a candy piece with a grand prize image in the hole – a VW New Beetle. Design and Flash animation. Opening animation of an Internal report, which delivered statistics of this sucessful promotion to executives at Nabisco. 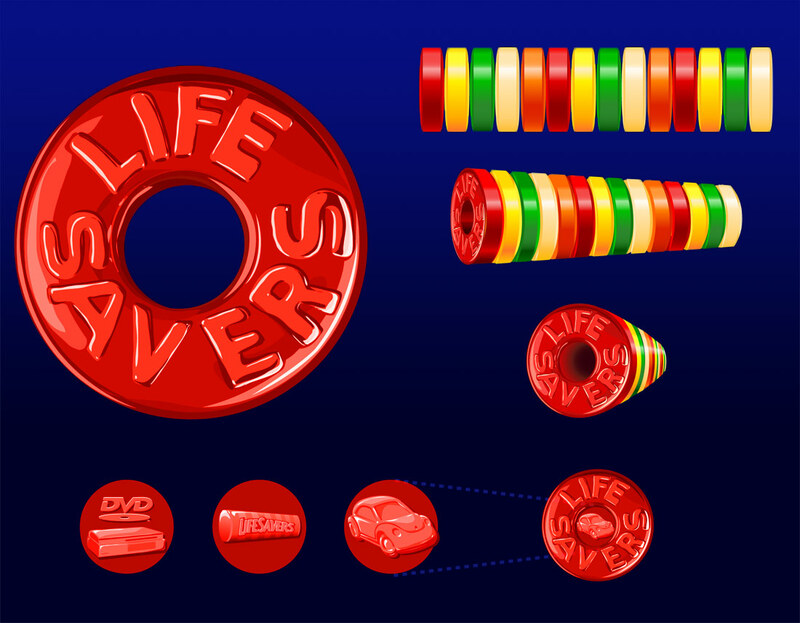 Design, animation and complete CD production. 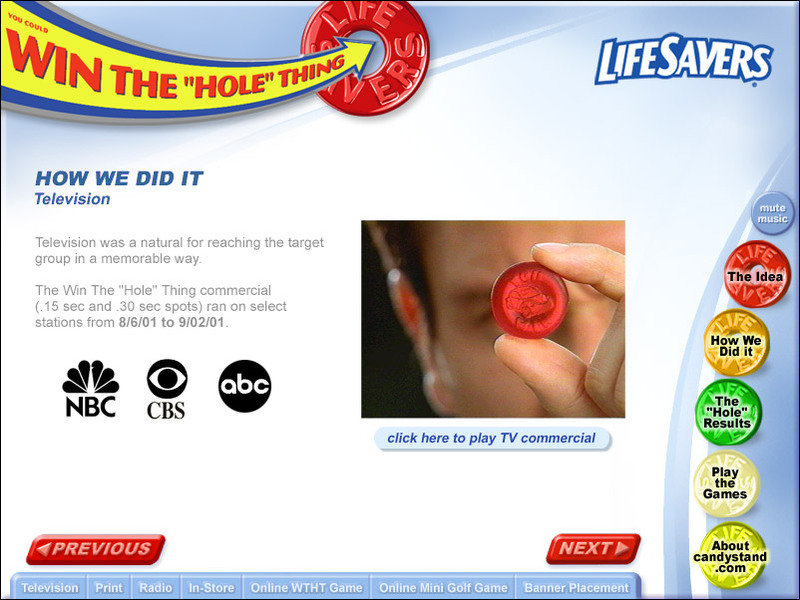 Vector illustrations for online banners, game pieces, and other elements in the “Win the Hole Thing” instant win game.